Human Growth and Development curriculum about HIV and Sexual Transmitted Diseases prevention, Family Life and Sexual Health will be shared along with an opportunity for Q/A. If unable to attend and wish to view the curriculum, contact your child's school. 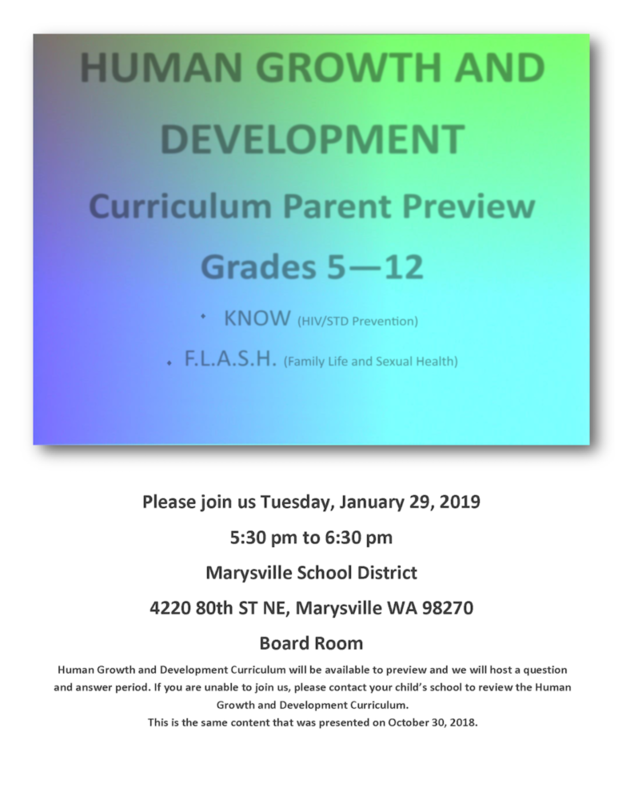 Questions regarding the scheduled parent meeting, contact the Curriculum and Assessment office at 360-965-0018.